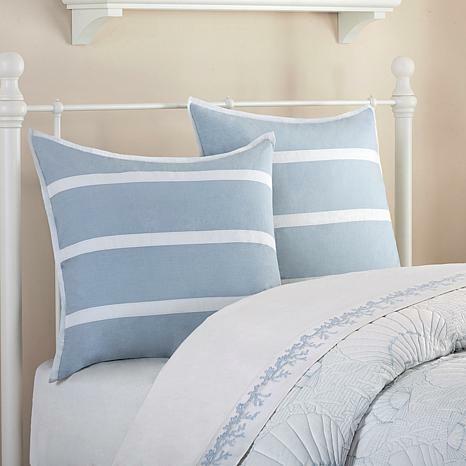 These Euro shams in blue with white striping add just a bit of nautical feel to any bed ensemble. Make a fresh start without leaving your dreams of a cozy night out in the cold. 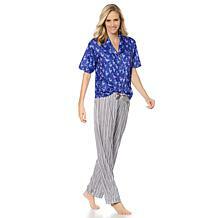 These shams hit the snooze spot with their soft cotton fabric. What a great way to update and upgrade your bed! Good to Know For best results, promptly remove from dryer and smooth out on the bed. Cuddle up with natural materials, and settle in for a warm night. This all cotton sham is the perfect complement to your down comforter. What You Get 2 Standard shams Good to Know Because of the cotton cover, promptly remove from dryer and smooth out on the bed for best results. Transform your sleep space into a zen garden with the Cherry Blossom collection. Cotton sateen, embroidery, and exotic prints come together to create a calming effect you'll love to lay back in.